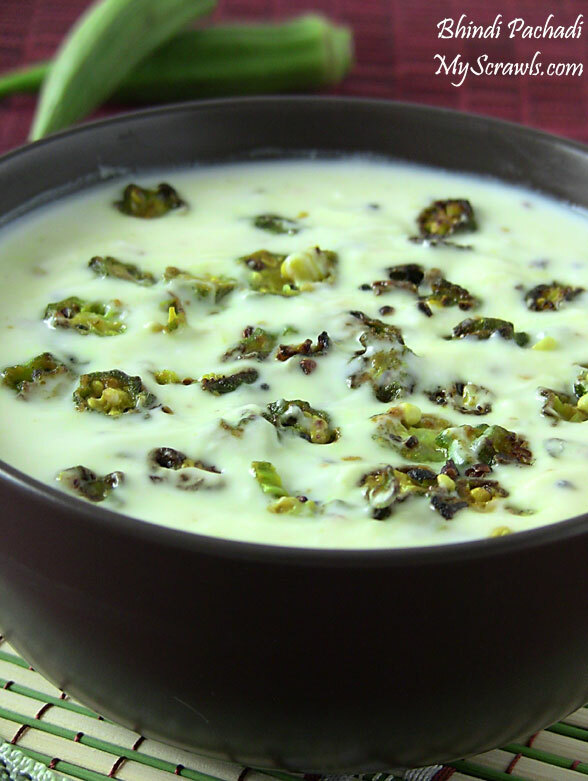 Pachadi (raita) is a perfect side dish for any single pot meal like pulav, fried rice or biryani. I try different varieties of thayir (curd/yogurt) pachadi. Apart from onion (which is the primary ingredient in most of the pachadi varieties), you can also add grated cucumber, shredded carrots, celery and cilantro. Veggies are added raw and it gives a crunchy taste. Vendakka (okra / ladies finger / bhindi) thayir pachadi is famous recipe in TM (Thanjavore Maharastrian) menu. I have always had this at my aaji’s (grand mom) place. The recipe would be prepared in ambat dahi (sour curd or pulipu thayir). Somehow I don’t like the “ambat” taste in curd! If you like sour curd then go ahead and use it in the recipe. 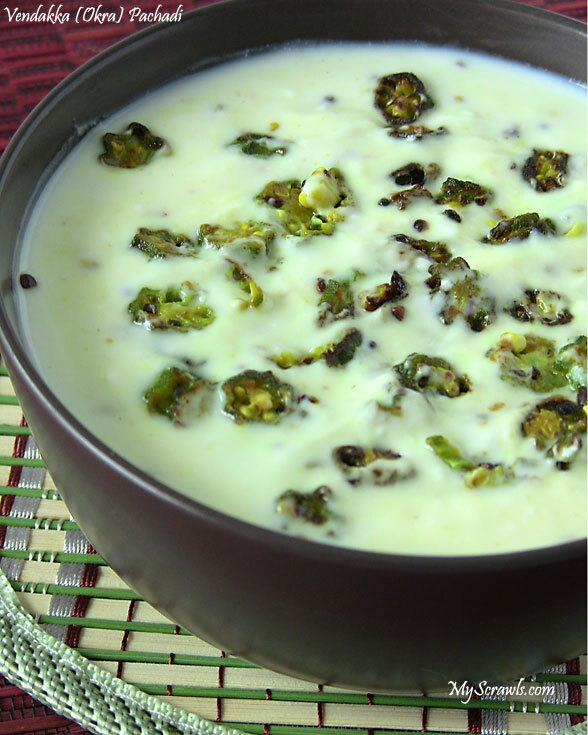 I have used regular yogurt in making okra pachadi. When mustard spatters, add asafetida, curry leaves and okra. Fry till the sliminess of okra vanishes and it is roasted well. Once done, add salt and mix well. I too make the same .love it a lot ..